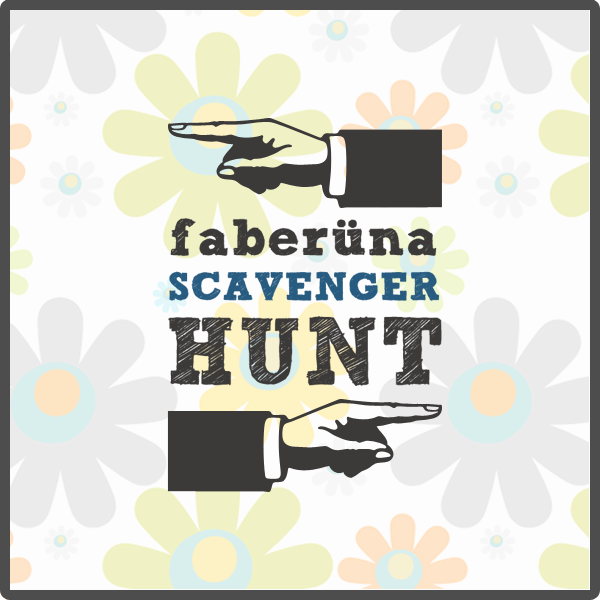 We're excited to be taking part in this year's Faberuna Scavenger Hunt! On Friday, July 1st (yes, this Friday - also known as Canada Day), visit Faberuna for a list of clues leading you to each of the participating shops. The person or team which submits the correct clues first, wins it all! Open to entrants from Canada and the US, you can play alone or play as a team - but we think that you'll want to play! Prizes are valued at over $370! So what are you waiting for? Click on over to Faberuna and check out how to play.